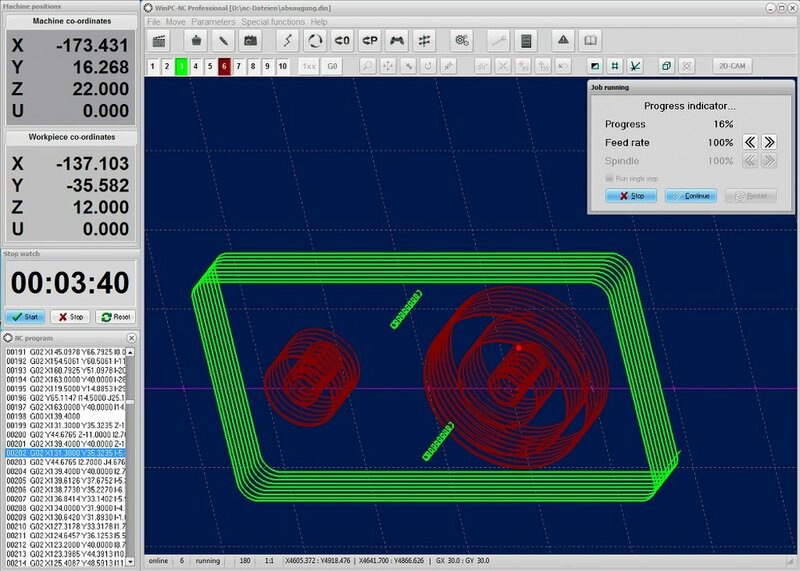 WinPCNC USB 3.0 is the latest update to our most poplar control software. It has a brand new live 3D visualization of the toolpath and a fantastic user friendly interface. 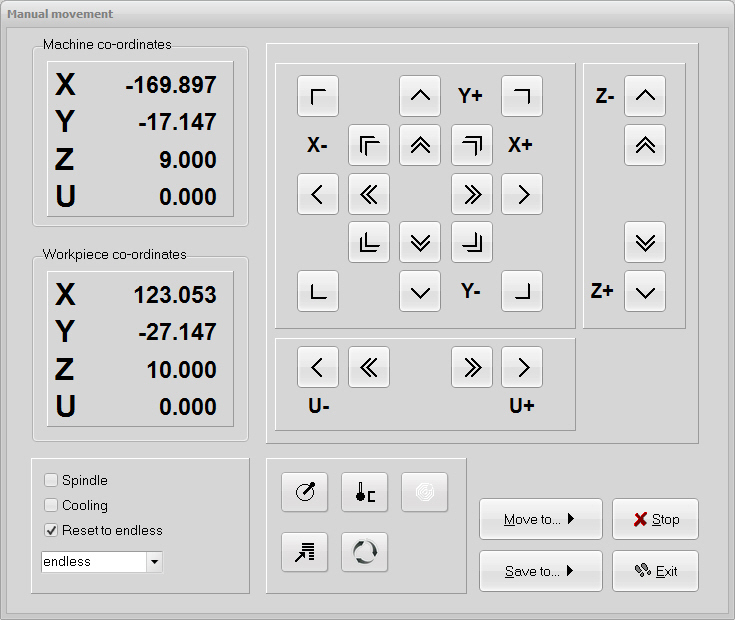 WinPCNC USB offers an intuitive user interface to control your CNC. With 80 kHz step frequency, USB connection, and ample opportunities to modify parameters and settings, it has been the preferred choice for most of our users for years. And with the latest major update to v 3.0 the interface is even better organized than ever. And the tool path is now beautifully rendered live in 3D. WinPCNC USB is delivered with pre-configured machine parameters for all of our machines. Just select your machine from the drop down menu the first time you launch the software. That will make your machine settings default. Win PCNC USB has an import filter for the widely used PLT or HPGL language and drilling formats Sieb & Meier or Excellon. There are also import filters for MultiCAM files in 2D and 3D, Isel NCP, ECP and AI Postscript as well as the DIN / ISO language (G-code). Win PCNC has a tracking control system that determines and adjusts the optimum speed in all situations using powerful look-ahead functions. Win PCNC USB uses the small hardware dongle ncUSB for real-time control linking time-critical tasks with the PC. The result is precise motion control with quiet and accurate movements. Pre-configured parameters for all High-Z and T-Rex machines. Major update version 3.0 with 3d graphic tool path view.